Having had a day off the exercise yesterday (yes, we all need them) I was back out running this afternoon. I had been thinking of going for a swim but then the sun started to shine and I couldn’t resist getting outside. It turned out the sun was being a little trickster as it disappeared pretty quickly and left me running under cloud and in strong wind. I chose a route which is an old favourite of mine – mainly because it is flat – along the canal from Nottingham to Beeston and then back along the River Trent. The wind battered me pretty convincingly on the way out but made me feel as if I was flying on the way home. 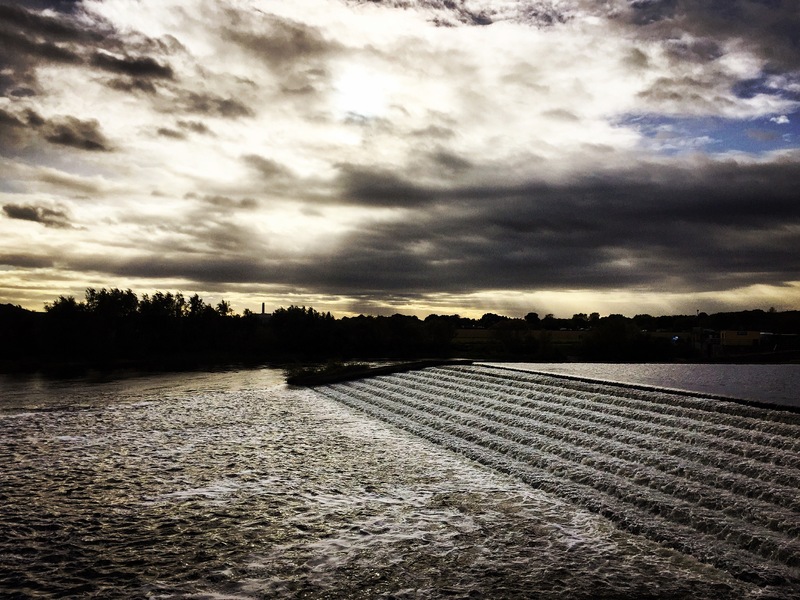 And the route was worth it for a stop by the roaring Beeston Weir; a favourite spot of mine. The real adventure today though was meeting another fellow blogger, Ordinary Cycling Girl. Donna has been blogging for a few years now and really knows her stuff. She and another wonderful lady, Becky Goddard-Hill, who writes her Baby Budgeting blog amongst others, have been so generous and kind in their advice on how to set up my new blog. There is no selfishness with information or guardedness about these ladies, just help and understanding. It has been such a privilege to meet them already and I can’t wait to meet many other new people through An Adventurous Girl. Open your world up and see what it brings to you!